The CompassionLab is an innovative group of scholars playing an important role in understanding the dynamics of the application of compassion in organizations. 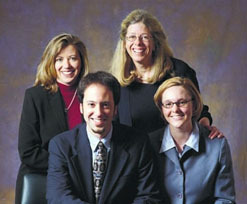 Their work adds greatly to the efforts of the International Center for Compassionate Organizations. 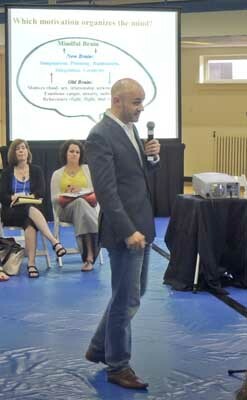 Compassionate Mind Foundation Board Member Dr. Chris Irons making his presentation as a Thought-Catalyst at the 2013 International Summit Conference on Compassionate Organizations in Louisville, Kentucky USA. The International International Center for Compassionate Organizations is made up of individual and organizational members, Fellows, and partners in compassion. Our partners are select organizations working to further compassion as a value and practice beyond their own organizations. We support our partners and strongly encourage others to do the same. The Compassionate Mind Foundation – promoting the understanding and application of compassion via a compassion-focused approach to human difficulties. Compassion in Politics — putting compassion, empathy, and cooperation in politics. The CoED Foundation — bringing compassion into education and learning. Hearts in Healthcare — re-humanizing healthcare. NOTE: While the International Center for Compassionate Organization (ICCO) Partners provide input, inspiration, and other support to the (ICCO), they are not responsible for the ICCO's interpretation, application, errors, or omissions with respect to their participation.